MamaSource by Mamapedia has a great deal on Zoobooks magazines. You can get a 2-year subscription to a Zoobooks magazine for just $25, or $12.50 per year. My daughter loves Zoobooks and they are a great way to introduce your kids to various animals that they likely don’t get to see very often. 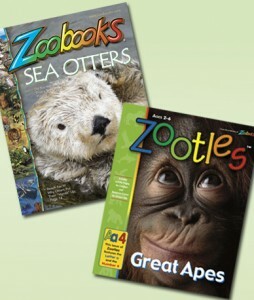 You can choose from Zoobooks (ages 6-12) or Zootles (ages 3-6). This deal also comes with a poster and stickers. Next post: Babies R Us: Huggies Jean Diapers Just $3 Per Pack!